This is a 5-pack of sheet masks that came in our Anti-Aging Boxes. 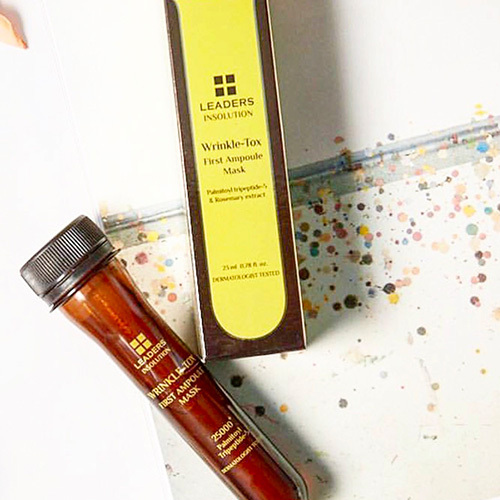 Palmitoyl Tripeptide-5 and Rosemary Extract provide a dual firming effort in this elasticity ampoule mask. This mask promotes healthy skin through 4 steps: nutrition supply, promotes vibrant skin, enhanced elasticity, and skin lifting. It is dermatologist tested and also comes in a fun tube, great for travel!